CIA World Fact Book for Egypt. CIA. Overseas Security Advisory Council - Egypt. OSAC. Bureau of Consular Affairs - Egypt. U.S Department of State. U.S. Relations with Egypt. U.S. Department of State. Embassy of Egypt in the United States. Country Study: Egypt. The Library of Congress. Travel Advice - Egypt. Commonwealth of Australia. Health Information for Travelers to Egypt. Centers for Disease Control and Prevention (CDC). Egypt Travel Tips and Ideas. Tour Egypt! Travel Considerations: Egypt. Real Adventures. Egypt Vacations - Egypt Tourism. (tripadvisor.com). Egypt Travel Guide. World Travel Guide. 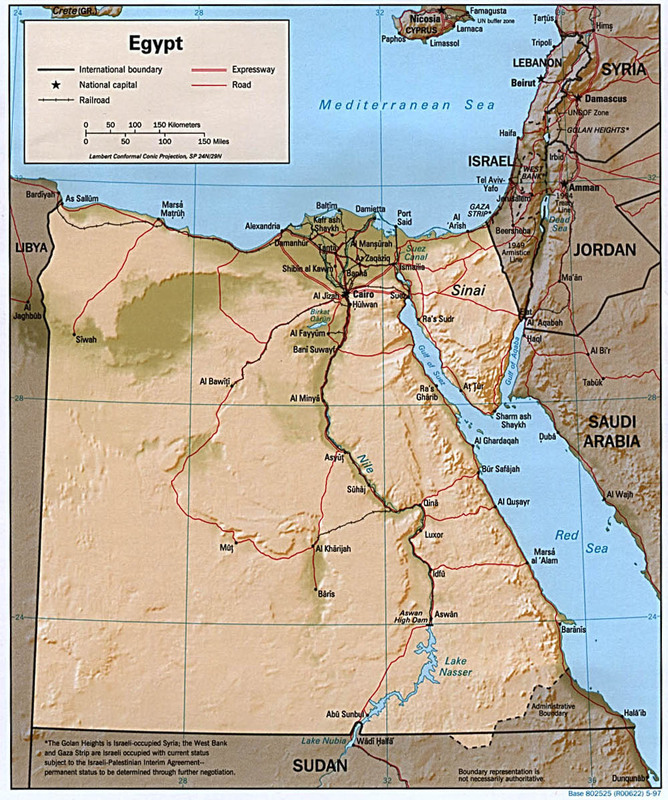 Map of Egypt - Shaded Relief. University of Texas. Map of Egypt - Political. University of Texas. 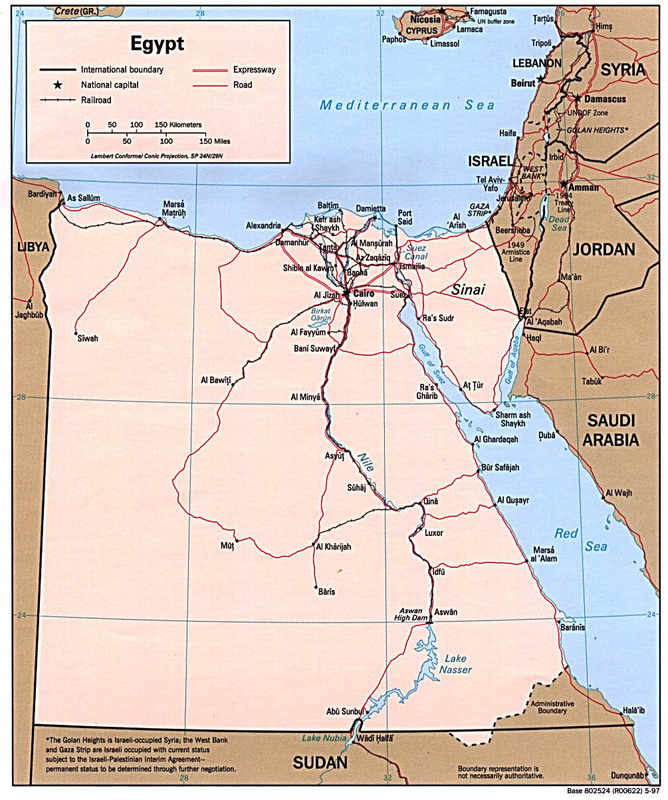 Map of Egypt by MapQuest. Egypt - Search the World. The Washington Post. The Coptic Museum in Egypt. Coptic Cairo. Supreme Council of Antiquities. Current Time in Egypt. World Buddy. Egypt Today. The Magazine of Egypt. Exclusive Services for Visitors to Cairo Airport.